This issue’s Hall of Fame star is Yip Man, known widely as “Master of Wing Chun”. 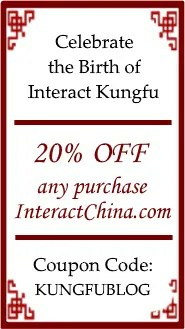 Ironically, despite his huge influence on the practice of Martial Arts, few westerners understand his life and legacy. “Wing Chun” is a style of Martial Arts which translates literally as “singing spring fist”. Yip Man was the first to establish a modern martial-arts school in Hong Kong, in the early 1950s. He was born in Foshan, Guangdong (South China) and first learnt Wing Chun there as a teenager. His fortunes changed when a relative supported his move to the prestigious St. Stephen’s College in Hong Kong. It was here that a significant encounter was said to have taken place; Yip Man witnessed a foreign police officer beating a woman, and managed to strike down the police officer himself, using his martial arts skills, before running back to school. After this incident, a classmate spread the word. Soon Yip Man was invited to see an old man, who was a Martial Arts elder, a fellow disciple of Yip Man’s old Master. He resumed his training with this man, called his “Martial Uncle” by Chinese tradition. Several years later, Yip Man returned to his hometown of Foshan, Guangdong where he became a policeman. He privately taught some of his friends and colleagues Wing Chun, and people became aware of how much he had improved his techniques due to his training in Hong Kong. The Japanese Occupation (1931-1945) saw Yip Man leave Foshan for one of his student’s village houses. After the War, he returned to Foshan serving as a police officer, though he was to return to Hong Kong by 1949. Yip Man set up a Martial Arts school, which was initially unpromising. Students were generally uncommitted and rarely stayed more than a couple of months. However, several of his students trained hard, and became highly skilled. They started their own schools, and fought against other Martial Artists, beating them and thus strengthening the reputation of Yip Man’s school. 1967 is an important year in the history of Martial Arts, as Yip Man and several of his students started the Hong Kong Wing Chun Athletic Association. Wing Chun was now formalised as a discipline. Sadly, Yip Man died just five years later, in 1972. His career had shaped the future of Wing Chun, introducing a standardised training system. Furthermore, through the efforts of his students, who included Bruce Lee, Yip Man’s work was to become known to the world, as the fame of Wing Chun spread internationally. July 18, 2017 in Hall of Fame, Knowledge & Insight.